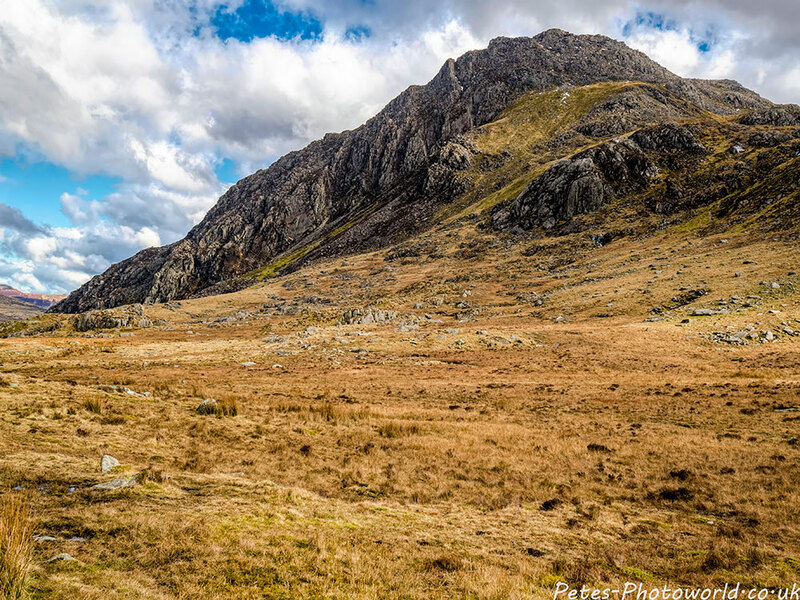 This walk starts out from the car park close to Ogwen Cottage and is easy one with decent paths all the way to Llyn Idwal. 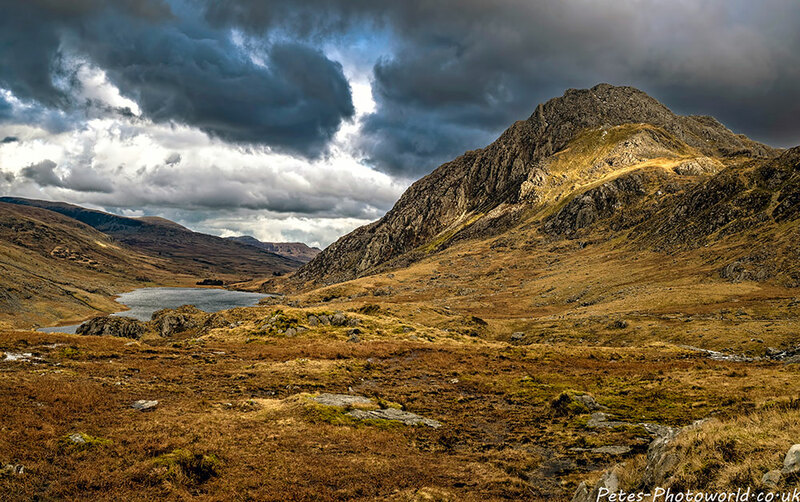 On a clear day you will be afforded with great views of Tryfan, Glyder Fawr, Devil’s Kitchen and Y Garn. I used my Olympus OM-D EM-5 MK II DSLR camera & Olympus 17mm F1.8 lens for all of these photo’s. 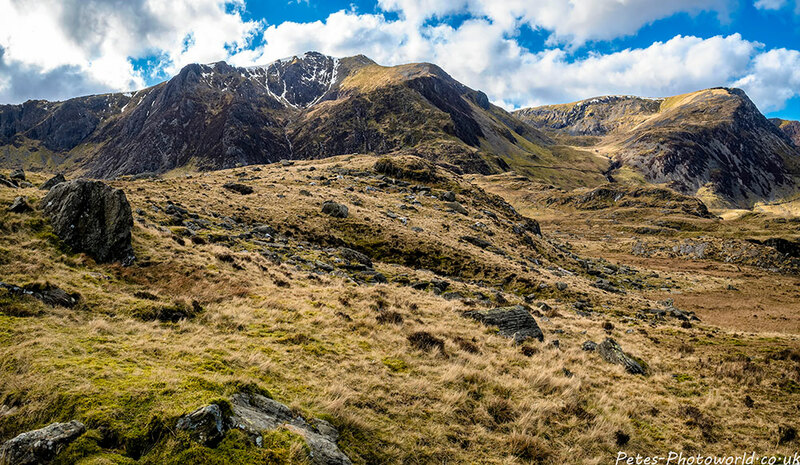 Glyder Fawr will be your first sighting as you make your way over a footbrige near the very start. 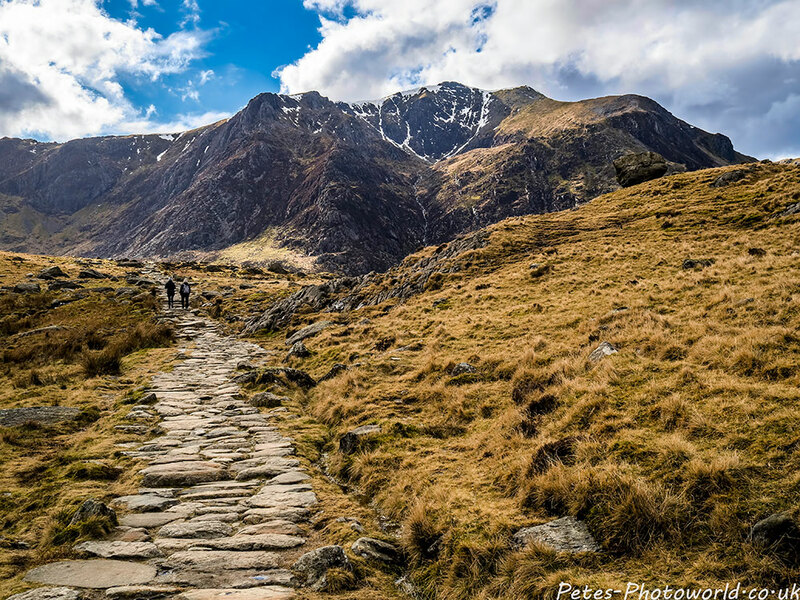 Y Garn will make an appearance as the path bears to the right and heads directly towards Llyn Idwal. Devil’s Kitchen will then very shortly come into view to the left of Y Garn. 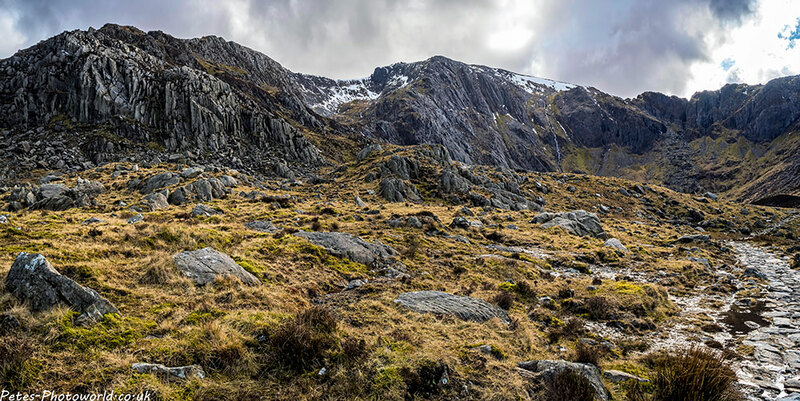 Here are a few more panorama’s of the scenery as you get closer and closer to Llyn Idwal. A slight detour off the path was made for a couple. 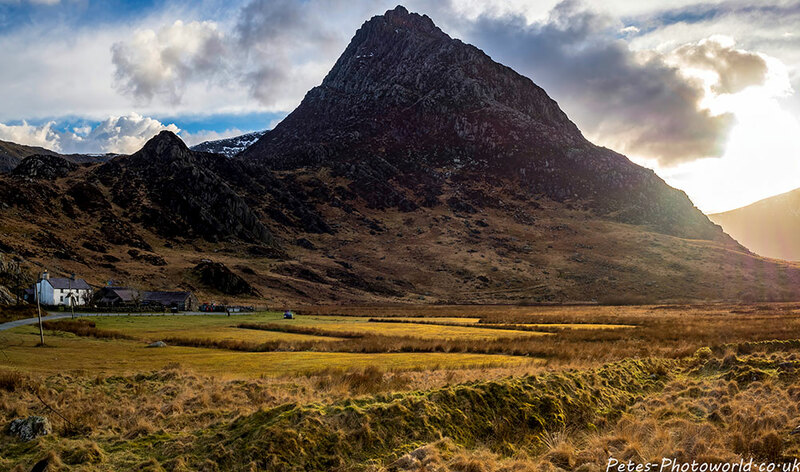 You will also have a great view of Tryfan on the left. 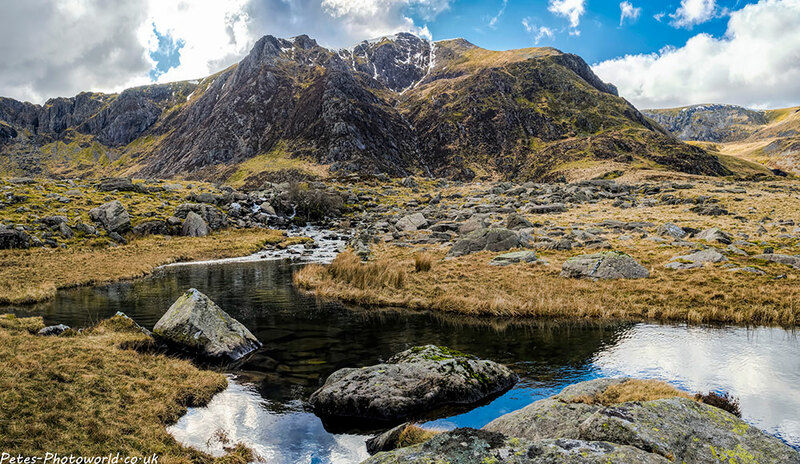 This is the scene that will great once you arrive at Llyn Idwal and turn right to the head of the lake. We returned by the route we had walked and took a short drive to take this final photo from the other side of Tryfan just as the sun started to set.